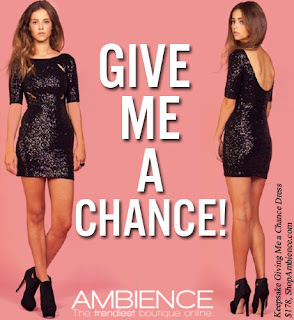 Shimmer into the party in the Keepsake Giving Me A Chance Dress. This dress has everything going for it and will certainly give you the chance to take over the room. This LBD has the perfect combination of on-trend elements: sequins, body con silhouette, open back, and cut out details…heads will turn!